Welcome to my first spotlight feature! I’m so excited to be kicking off this feature, mostly because there have been so many incredible brands, restaurants, shops, experiences, and events that I’ve discovered over the past few years. I thought it would be fun to share things along the way that have been inspiring me– in the hopes that they’ll inspire you all too! 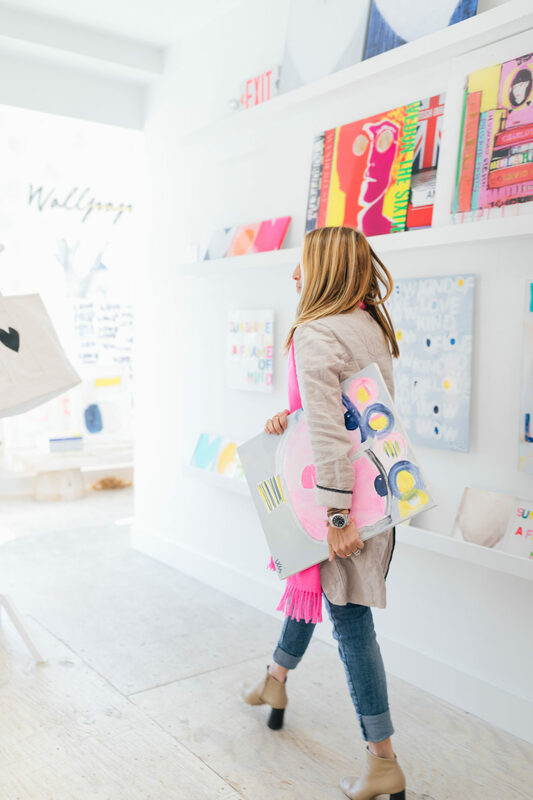 I thought I would start this feature off with a brand helmed by an artist who is a Mama, an entrepreneur, a designer, and a business owner: Kerri Rosenthal! Kerri Rosenthal is chic little tastemaker and Fairfield County icon, in my humble opinion. She is such a fabulous painter, and has used her paintings over the years as design inspiration that fuels her interior design business and home decor offerings. 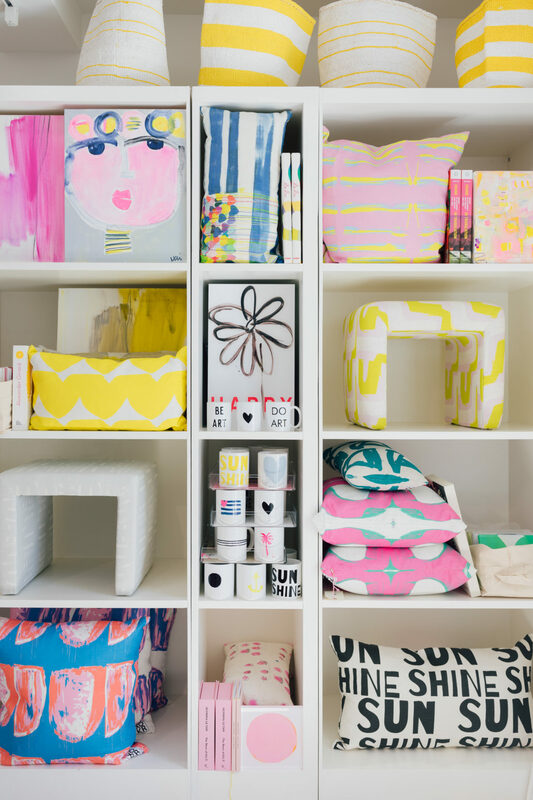 Her store has everything from removable wallpaper decals to custom poufs, cashmere sweaters, wallpaper, art pieces, mugs, jewelry, shoes, and furniture. When I tell you her taste is the absolute epitome of cool, I am not exaggerating. Kerri places such an emphasis on joy and love in every single piece she designs, paints, or promotes– and I swear it radiates everywhere! When Kyle and I first moved to Fairfield County, I felt like a fish out of water in a major way. I have a really colorful and energetic design aesthetic (if you haven’t noticed. LOL), but a lot of the stores I came across exemplified a more conservative vibe. 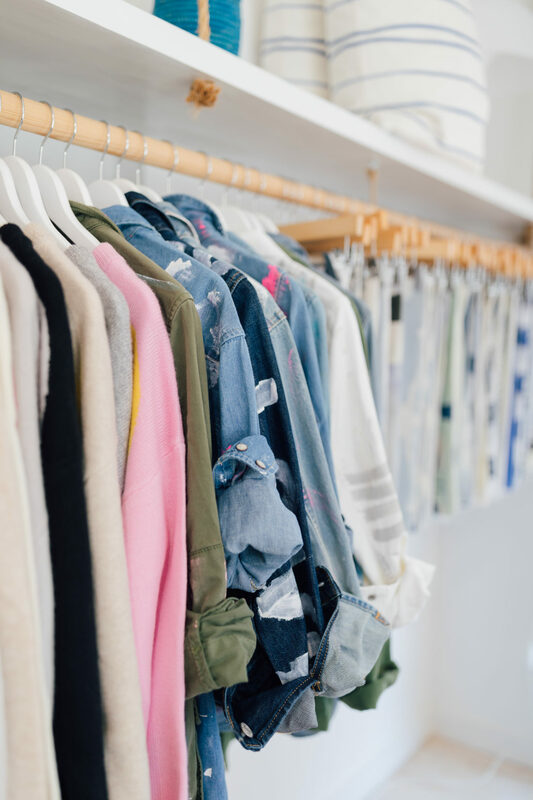 We were looking at homes, and stopped for lunch– I stumbled upon Kerri’s boutique and my eyeballs nearly popped out of my head. I was so blown away by the light and bright vibe with such juicy pops of color and energy. It reminded me so much of every single thing I love a space to be. And the store itself was so well curated. Kerri’s daughter, Ali, was working the front of the store and she was just so stylish and adorbs, and reminded me of Marlowe all grown up in the most idealized way possible and let me tell you I. WAS. HERE. FOR. IT. I was super pregnant with Major at the time, but I remember buying a few things, leaving the store, and turning to Kyle and just saying “I LOVE it in there.” I ended up choosing some of Kerri’s wallpaper for our guest room, and over the years have popped in to the boutique time and time again. 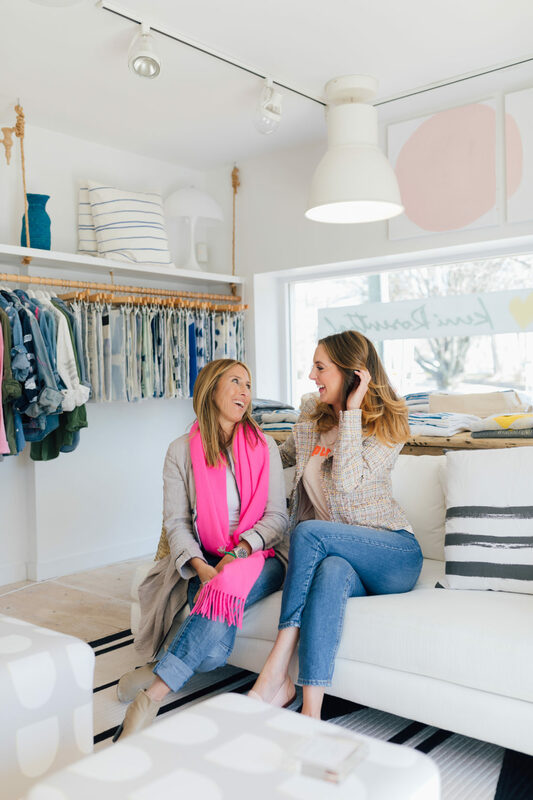 It is currently in its bigger, more fabulous location in Westport– and I can just spend hours there hanging out and being surrounded by all the amazing energy and inspiring style. Every single time I go in to the boutique I feel like I come out reinvigorated. And luckily for everyone who isn’t local to Westport, her online store is just as fab! I’m so obsessed with the line of “drippy heart” sweaters that have become a Kerri Rosenthal staple. She is also the queen of the throw pillow. There are so many options! I really shouldn’t be giving you too much scoop, but let’s just say that our brand new forEVA home features lots of Kerri Rosenthal design elements. And for further Inspo, I’m so pleased to bring you a Q&A with the Lady Of The Hour herself! When I first moved to Fairfield county, I was feeling really lonely and homesick for Los Angeles. 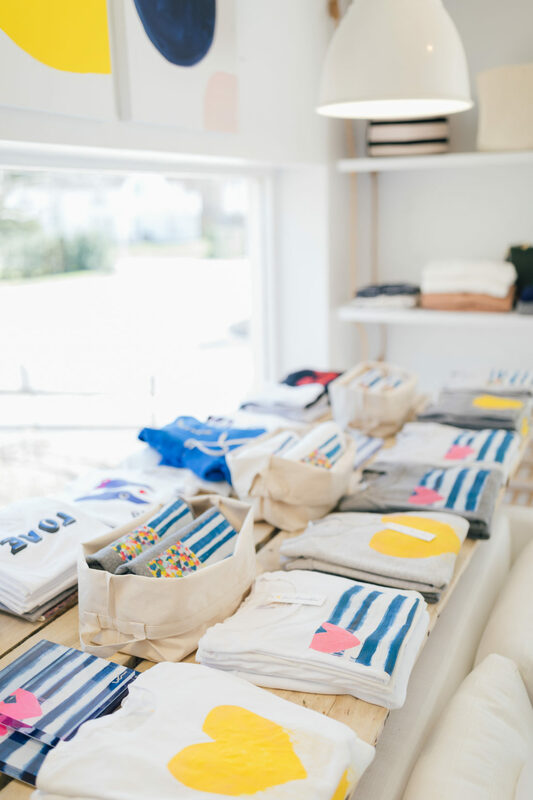 I stumbled upon your shop, and instantly felt so soothed by the bright colors and beachy, west coast aesthetic. So first of all, Thank You for being a breath of fresh air in this community and also: what are your main inspirations for your design aesthetic? I’m very inspired by Dutch, Scandinavian relaxed design aesthetic. I worked for an iconic Dutch company, Oilily for 10 years and it’s now part of my DNA. I am a strong believer in homes that are beautiful AND livable and I always want to offer beauty and comfort at the same time. I’ve also brought that same aesthetic and happy vibe to my shop in Westport as well. You’re an artist! How do you work your paintings in to your products? I’ve always loved the idea of making art as accessible as possible, and taking it off the canvas and onto my Home and Wearable collections has just been so great. I paint paintings to be just that, paintings, but so many of them lend themselves to wallpaper and fabrics. And my Drippy Hearts are now part of my signature cashmere collection and new totes are coming this summer. I sit with my team each year, and we look at the paintings and select those that will show up in our next year’s collections. What is your favorite part about having your shop and your design business? Every day is different but I love it. I love meeting with people, touching people and hearing about what my work means to them. It’s is everything to me. I think it also helps me to become a better artist and person, too. The most challenging is, it is a business, with all that that implies. But I wouldn’t change it for anything. Do you have any tips for Entrepreneurs who are also Moms? You can’t do everything. My kids have watched me work every single day, and have learned that moms cam work and be moms too. 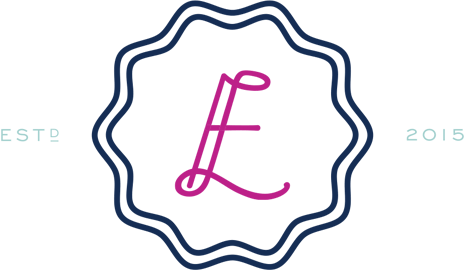 They have seen me grow and my business grow, and they are very much a part of it. Your brand is now selling Wholesale! Congrats! What’s next for your brand? We are working on so many collaborations right now including a Surfboard one with one of my favorite designers in California. We are also working on having our fabrics and wallpapers represented in showrooms around the country and look out for something big coming in the fall. If you could design a home for any famous person, dead or alive– who would it be? I’m all about smell and texture and Bobbie Brown’s balm is the best. I can’t live without my Clarins Instant Light lip gloss. Lately, I’m very interested in Kimberly Cole products as well. Her cosmetics are really yummy. (we are hoping to do a collab this summer as well. Stay tuned). Love this! Love her. Very inspiring. Great article and congrats on your first spotlight feature! Looking forward to reading more like it.